Jack Delano also spent some time visiting the Illinois Central facilities while in Chicago. 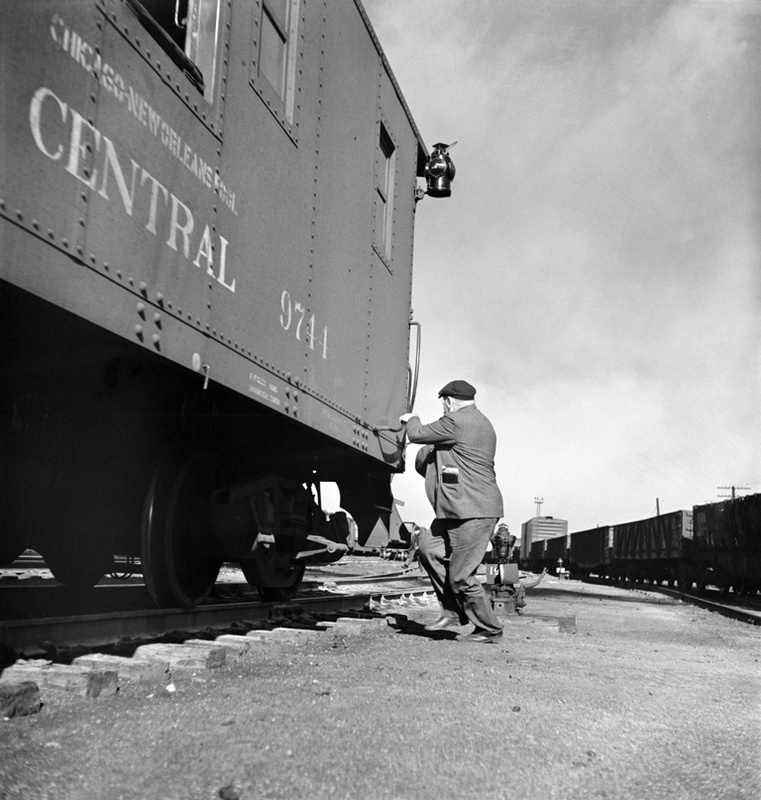 It’s November of 1942, and Jack spied this conductor hopping aboard his caboose as it was pulling out of a yard track for it’s southward journey. He’ll likely settle in place at his desk, with a cup of hot java handy . . . there is still paper work to do during the ride. This entry was posted in Photos I Like, Railfanning by Jack Shall. Bookmark the permalink.